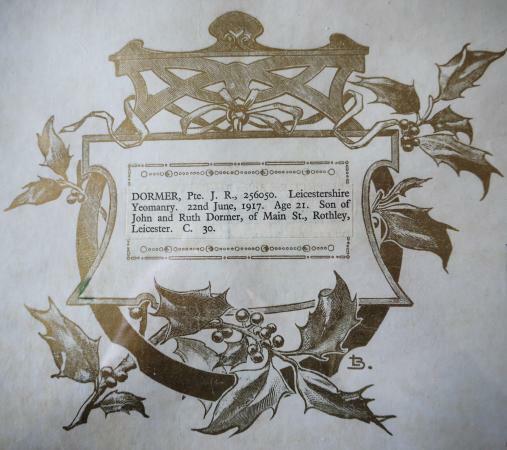 Home » Village History » Rothley War Memorial » DORMER R.
Private 256050 John Reginald Dormer. 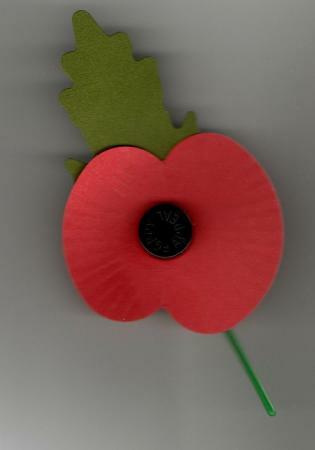 Enlisted on 14th June 1915 in 176th Brigade Royal Field Artillery, discharged 10 days later for War Contract work. 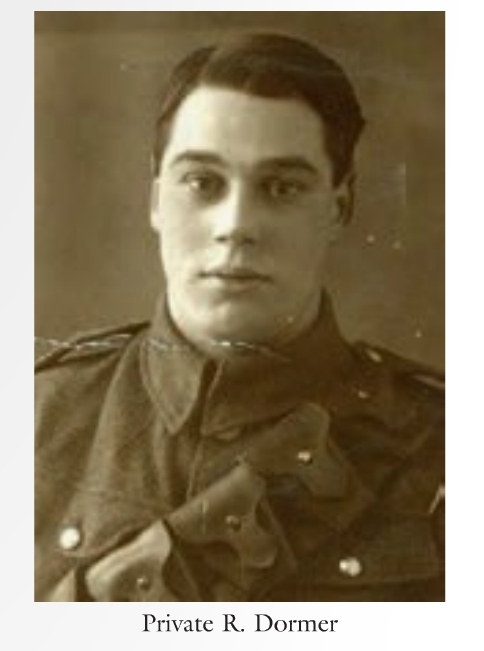 Re-enlisted with the Leicestershire Yeomanry in 1916. Killed in action in a trench in the France and Flanders campaign on the 22nd June 1917 aged 21 years. The son of John and Ruth Dormer, brother to Ruth Evelyn Dormer. They kept a shop in Town Green Street, Dormers Stores, known now (2016) as Dormer House. 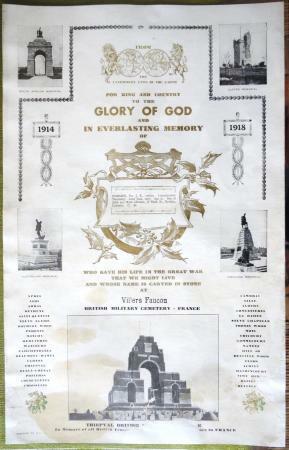 Named on the War Memorial, Parish Church Roll of Honour, Parish Church Triptych Roll of Honour. 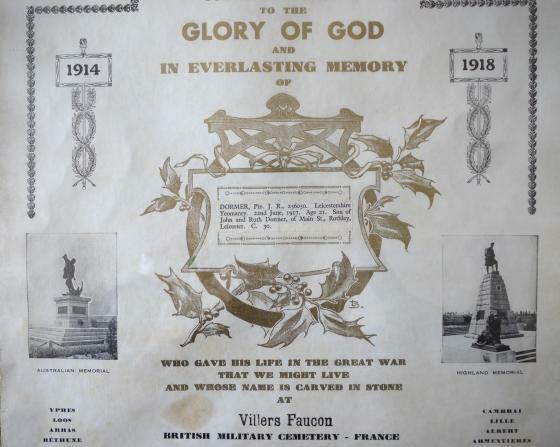 The family also purchased a scroll called a Golden Roll of Honour. SOUTH EAST OF EPEHY. At 1.30am. The Germans attempted a raid on the BIRDCAGE , intending to block the communications trench by bombing and to raid the garrison. 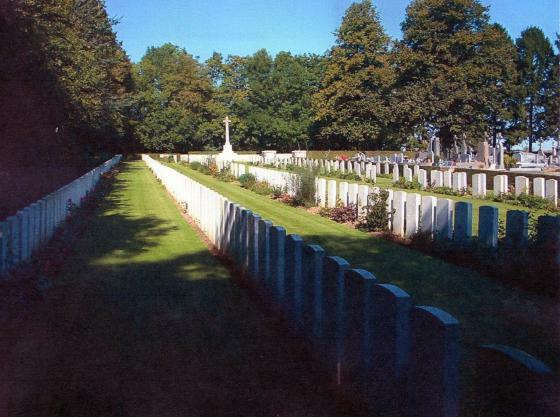 The plan was frustrated by rifle fire and 10 Germans were left on the wire of the communications trench, 3 being brought in wounded, all of whom subsequently died. 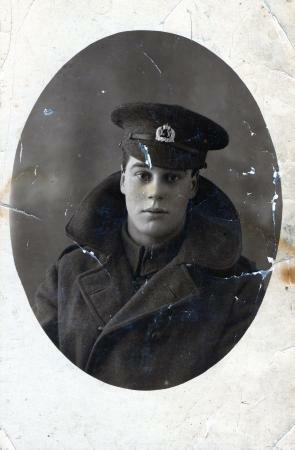 Lt. P.M.TOULMIN , who was out on a patrol towards a German sap, returned hurriedly just before the bombardment, having evidently seen some Germans massing. He was caught in the barrage, and killed, 9 other ranks killed and 10 other ranks wounded. Casualties during the month. 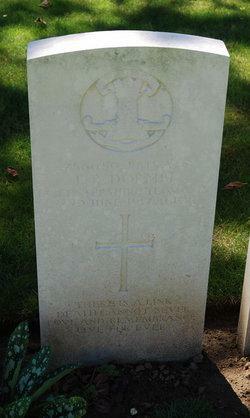 Killed in action Lt. P.M.TOULMIN and 9 other ranks. Died of wounds, 1 other rank. Wounded in action, 16 other ranks. In July 2015 items belonging to Reginald Dormer were put up for auction at Spink & Co. London. 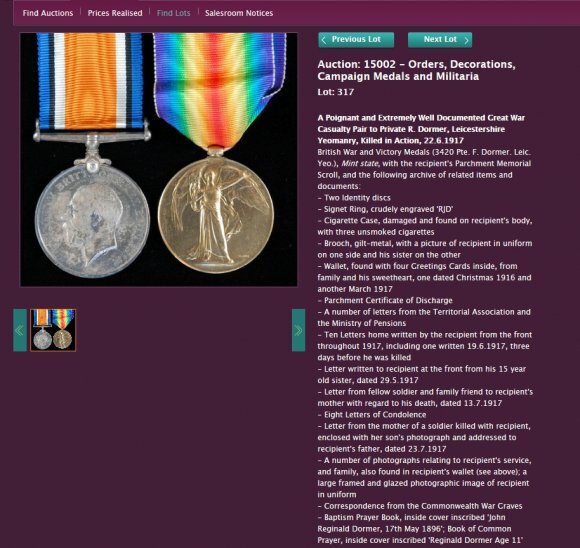 These included his war medals, two identity discs, engraved signet ring, cigarette case, brooch with his and his sister's photo, wallet containing Christmas cards, Certificate of Discharge, letters written home, letter from his sister, Ruth, dated 29th May 1917, various letters including one from the mother of a soldier killed with Reginald, family photographs, Baptism Prayer Book inscribed John Reginald Dormer 17th May 1896, Book of Common Prayer inscribed Reggie Dormer, 1906, Sunday School Prize Book inscribed 'Rothley Church Sunday School, Reggie Dormer, 1906. Lot 317 sold for £520. "I don't know when I shall be coming not for another month or two if the leave goes on as it is now. But we are all looking forward to one some time. 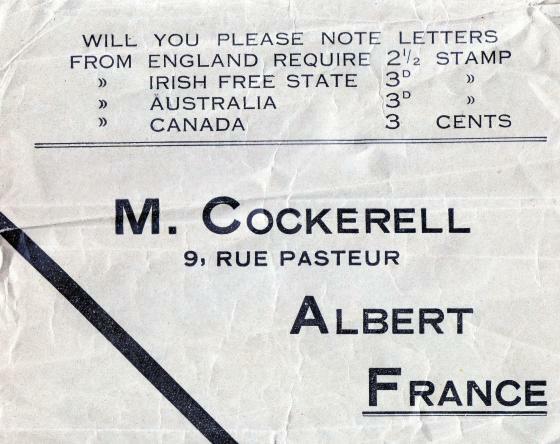 Well Mother I expect by the time you receive this letter we shall be in the trenches again we goes tomorrow Wednesday for 9 days. 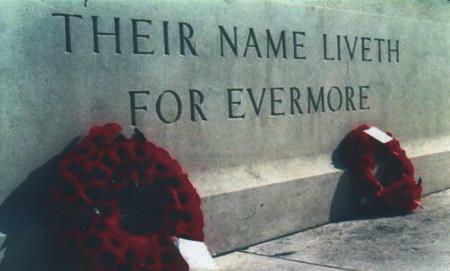 But do not worry any more than you can help as I shall look after myself as much as possible"
John Reginald Dormer was killed in action 3 days later. The catalogue details from the saleroom of Spinks & Co showing the items for auction and the sale proceeds.